Fish shacks are wonderful little gems peppered throughout the state where fresh means the fish was swimming in the morning and this afternoon it’s on your plate with tartar sauce and a side of fries. Fish shacks can vary from long established businesses to new-fangled wannabes. They are eclectic places with fishnets on the walls, stuffed gator heads over the doorway, and picnic tables on the patio. who love to work for your dinner, there’s the all you can eat blue crab served in a large shell (a great deal for $20). The wooden mallet and picking tools will come in handy to retrieve every last morsel of butter-dripping crab. Everything is fresh and made in-house. Don’t forget the real Florida key lime pie for dessert. Beverages include beer, wine, and soft drinks. Take out, wholesale seafood, party trays, and a seafood market are also available. This entry was posted in Florida Fish Shacks and tagged Peace River Seafood. Bookmark the permalink. Your description really makes me want to try this place out! 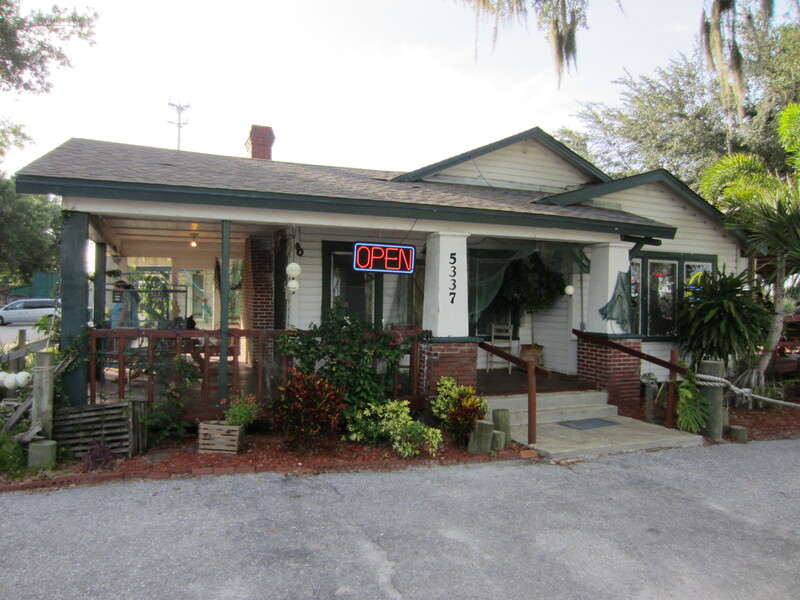 There are so many little gems like this in Florida – good to find out about another one.